The treatment technique of ruby and sapphire in Thailand has been continuously developed from the simple methods in the early days to the more complicated techniques in recent years. In September 2007, five faceted sapphire samples and few rough stones of similar material were submitted to the GIT Gem Testing Laboratory (GIT-GTL) from a gem treater who informed us that the sapphires were heat-treated by a new method. 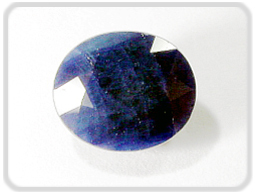 From the external appearance, those faceted sapphires were dark blue and semi-translucent (Fig. 1). 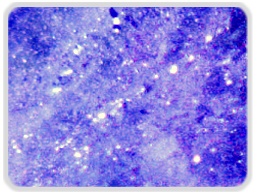 Microscopic observation revealed many of rounded tiny blue inclusions oriented along large numbers of healed fracture. These inclusions, which were the main cause of color in the gems, seem to be the residue material remaining after the fractures were healed during high temperature heat treatment. The internal diffusion feature was not found in these new materials (Fig. 2). In general, the gems had the refractive index of 1.760-1.768 (0.008), the specific gravity of 3.94, exhibited red emission under the Long Wavelength Ultraviolet (LW/UV) light and weaker under the Short Wavelength Ultraviolet (SW/UV) light. Besides, red emission was found when shining with the high density light (Fig. 3). From the chemical analysis by EDXRF technique, it was found that there were cobalt (Co) and lead (Pb) presented as impurities among the other elements (Al, Fe, Ti, Ga) commonly found in sapphire (Fig. 4). 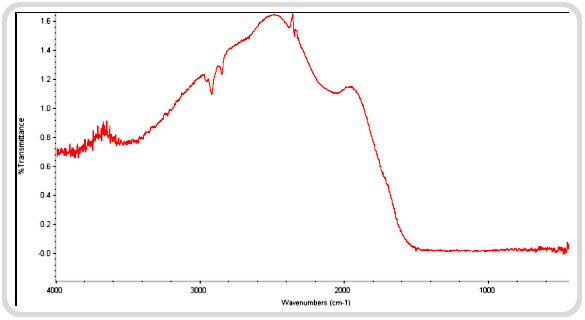 The UV-VIS absorption spectrum showed the main absorption peaks at approximately 630 and 530 nm (Fig. 5). This absorption pattern was totally different from the absorption due to Fe-Ti intervalent charge transfer usually occurred in blue sapphire. In fact, the absorption characteristic mentioned above was similar to the absorption of cobalt which was found in glass or synthetic blue spinel. From the infrared absorption analysis, it was found that the absorption spectrum was clearly different from other corundum (Fig. 6). In conclusion, it was likely that the raw material used for this technique was the semi-translucent pale colored sapphires consisting of many cracks .The treatment process was a high temperature heating technique involving cobalt and lead containing flux. 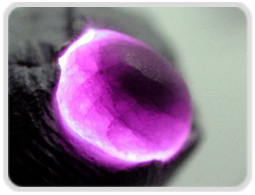 The color of gem was mainly due to the inclusions of blue cobalt-bearing solid residues left along healed fractures after the high temperature treatment. In this study, the GIT would like to express our grateful thank to Mr. Tanusorn Lethaisong and Ms. Sasitorn Boongkawong who kindly provided us the samples and their willingness to let us disclose the new treatment technique in order to sustain the 'consumers' trust and confidence in his new product. 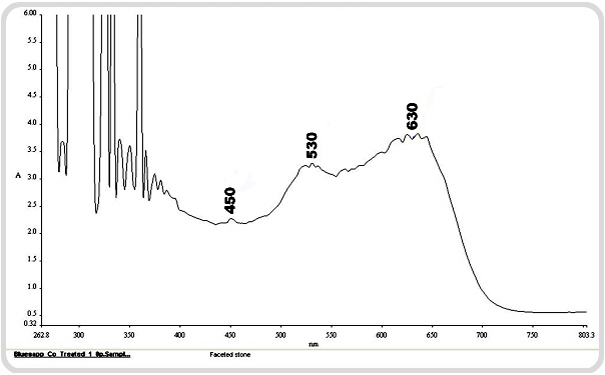 Figure 4: Qualitative chemical analysis of the new blue treated sapphire by EDXRF technique using EDAX Eagle III spectrophotometer. 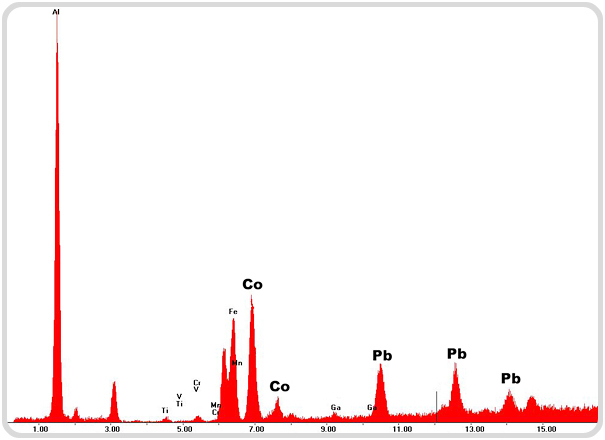 Note the dominant peaks of cobalt (Co) and lead (Pb). Figure 7: The probable sequences of the formation of blue solid residues in the new blue treated sapphire during the high temperature heating. Copyright © 2008 The Gem and Jewelry Institute of Thailand (Public Organization). All rights reserved.